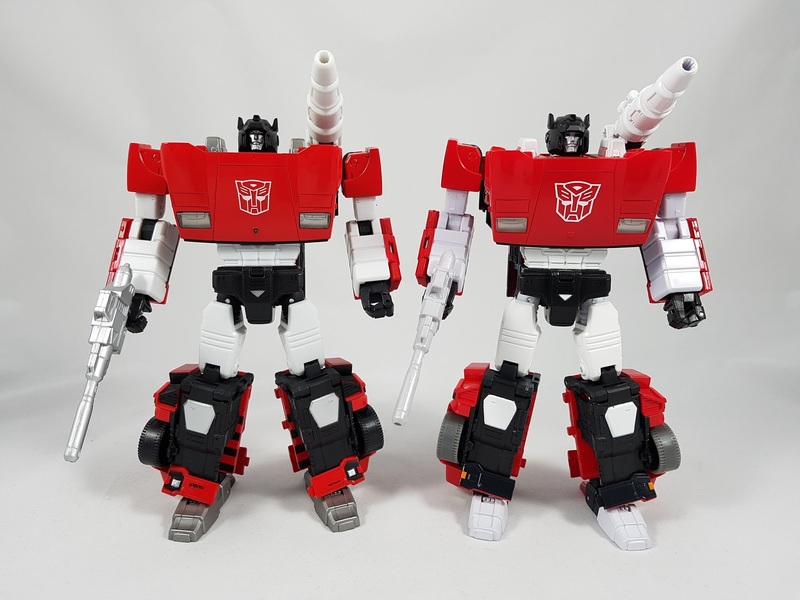 With Takara's push for more cartoon accurate Masterpiece figures, these "+" repaints are another easy way for them to justify a new repaint of an existing figure. 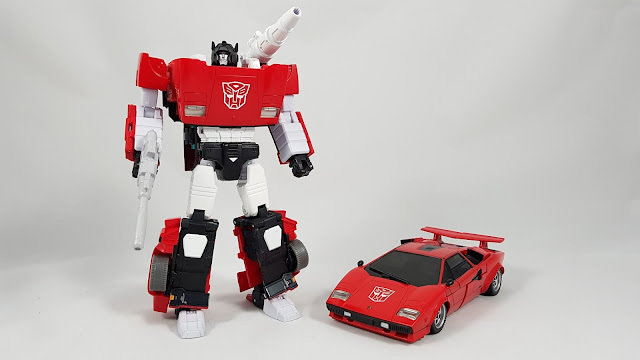 They started with MP Red Alert, and now the latest is Sideswipe. I'm sure there'll be more repaints to come. Overall, the choice of whether you pick up this new version will really depend on in which mode you prefer to display your Transformers, and whether you have the original release. For a closer look, click through below to check out my review on the Kool Kollectibles YouTube channel. 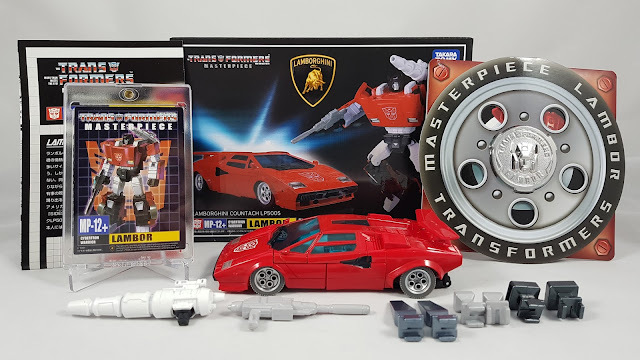 Make sure to subscribe and stay tuned for my MP Sunstreaker review! 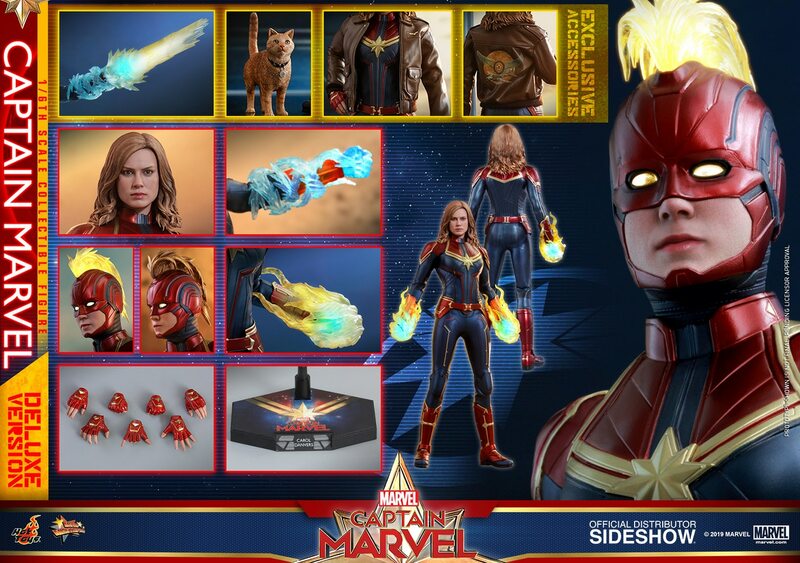 The box and contents should be all familiar to MP collectors. The revised coin is another nice addition to the coin collection too. It comes with all the accessories that have been included in a number of previous MP Lambor repaint releases. The difference in bot mode is where the new anime colour really comes to the fore. The more cartoon accurate paint scheme blends in aspects that were broken up by difference colours in the original. For example, the white elbows and the black ankles make the arms and lower legs more seamless. The biggest improvement for me however it actually the white glossy paint app on most of the white surfaces. The forearms, torso, thighs and feet all have a very nice glossy premium paint app. Coupled with the white plastic elbows and white plastic hip joints, the overall look in bot mode is much better than the original release. However, the original itself is much better in the car mode. In its quest for cartoon accuracy, Takara made the new version with blue, more transparent glass, which only allows the interior of the car to show through. This ruins the look by clearly showing the feet through the windscreen. The original has very classy dark glass that hides the interior, and just makes the Lamborghini Countach mode look sleeker and classier. It also has extra black detailing around the air intakes and grooves along the back and rear of the car. So it makes for a much more realistic car mode. The black wheels are also nicer on the original, whereas the new version has grey wheels so that the bot mode has the grey parts on the sides of the legs as he did in the cartoon. So as I said, if you display your collection mostly in bot mode, then I would say MP-12+ is the better choice. But if you prefer the car modes, then I would pick up the original if you don't already have it. Either option, Takara has to make some compromise in the aesthetic in each mode, so at least they're giving collectors an option to pick up either. This old MP-12 mold is ageing a little now compared to the amazing engineering of the newer releases, but it still holds its own fairly well. A great figure in the MP series, so pick any version up I say!